"This is one of the largest lava flows on Earth here in the Bay of Fundy… and quite capable of producing poisonous gases that affect the Earth's environment in an eruption," said Greg McHone, a geologist based on New Brunswick's Grand Manan Island, who co-authored the study published online in Science this week. The End-Triassic Extinction wiped out half the world's species about 200 million years ago, including early crocodile relatives, tree lizards, broad-leafed plants, eel-like fish called conodonts, and ammonites, which are squid-like sea creatures with shells. Up until now, there was some scientific debate about whether the extinction was caused by a meteor impact, like the one thought to have wiped out the dinosaurs 135 million year later, or a major volcanic eruption like the ones that caused most other major extinctions. The new study, led by Terrence Blackburn at the Massachusetts Institute of Technology, shows that eruptions in Morocco likely kicked off the mass extinction, while eruptions in Atlantic Canada and the northeastern U.S. ramped it up about 3,000 and 13,000 years later, respectively. The study also pinpoints the time of both the Moroccan eruption and the start of the mass extinction at 201,564,000 years ago. The deadly ancient volcanoes weren't mountains. Rather, they were long, magma-spewing fissures in the Earth, similar to the Krafla eruptions in Iceland, but "much, much bigger," McHone said. The retired geology professor helped the research team locate and sample the basalt rocks that were once part of the ancient lava flow, as well as estimate the gases that might have been emitted by those massive volcanoes. At the time of the eruptions, the Atlantic Ocean didn't exist, and Africa and North America were joined as part of a big continent known as Pangaea. 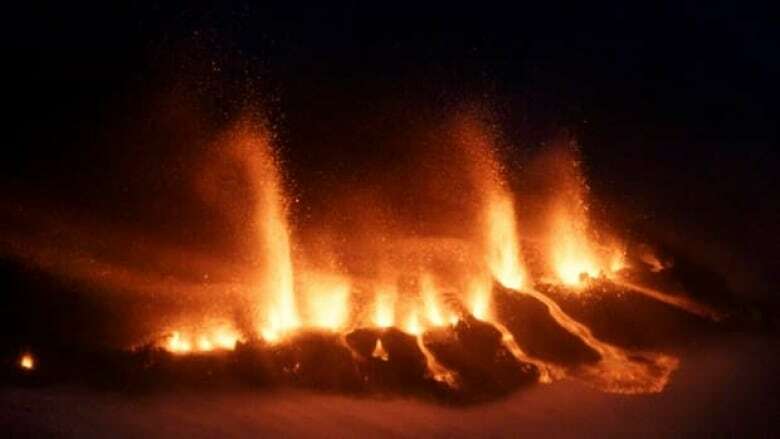 Over 600,000 years, the eruptions in an area known as the Central Atlantic Magmatic Province, deposited roughly 10 million cubic kilometres of lava. The massive eruptions would have blasted carbon dioxide gas and a thick sulphurous smog into the skies. Initially, the smog would have blotted out the sun, causing a multi-year winter. Once the sulphurous dust had settled, the carbon dioxide would have caused rapid warming — possibly as fast as the human-caused warming taking place today, said a news release from Columbia University, where study co-author Paul Olsen is based. McHone said one reason why it had previously been so difficult for scientists to figure out when and how the mass extinction occurred is that the layered, sedimentary rocks containing the fossil evidence of the extinction were not necessarily in the same places as the rocks formed from the lava flows. "So much has been eroded away from the Earth's surface for the last 200 million years." For example, the rocks in Morocco didn't contain any evidence of the extinction. Meanwhile, the rocks in North America showed the extinction, but it seemed to occur below — and therefore before — many of the lava flows, said Blackburn in an interview. He solved the puzzle by analyzing crystals of zircon that form as the lava cools, trapping small particles of uranium in the process. The uranium decays into lead at a consistent rate. By measuring the ratio of uranium to lead, it was possible to precisely calculate the age of the basalt layers. The analysis was possible thanks to "huge advancements" in this type of analysis in the past five or 10 years, Blackburn added. The method can't be used on the sedimentary rocks containing the fossils. However, Olsen developed a way to measure the relative age of sedimentary rocks using the fingerprint left by changes in the Earth's orbit over time — a technique called astrochronology. In cases where the sedimentary rocks were sandwiched between basalt, he was able to calibrate the astrochronological fingerprint to actual dates and use that to figure out the dates of events in sedimentary rock samples that weren't close to any basalt layers. By carefully comparing the data in many parts of the Central Atlantic Magmatic Province, the researchers showed that the eruptions very likely caused the End Triassic extinction and were able to reconstruct how the events unfolded. 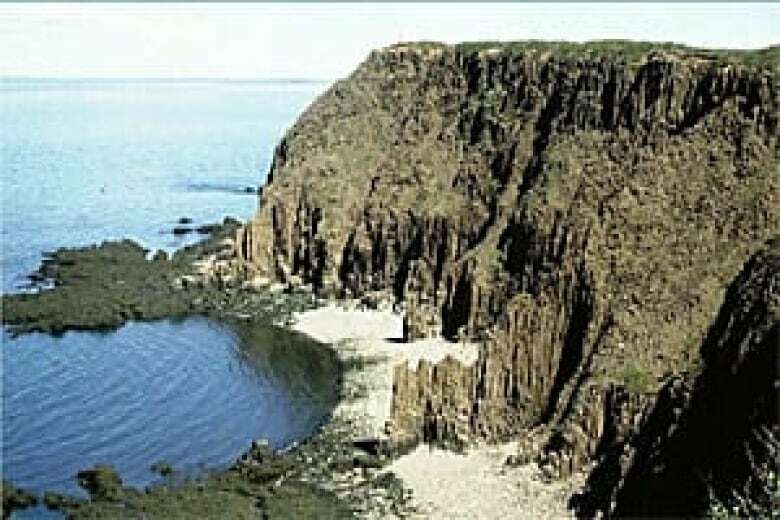 Remnants of the basalt deposited by the eruptions can still be seen in low-lying parts of Nova Scotia and New Brunswick, including on Grand Manan Island. "When I look out my window, I can see a ridge of this same lava flow that is in the Bay of Fundy, now linked to the mass extinction," McHone said. "So it's quite fun." The End-Triassic extinction was the fourth known major extinction in the history of life on Earth. The die-off is thought to have opened up opportunities for the dinosaurs to diversify and thrive in the 135 million years that followed.